In the end of 2017, Civil Rights Defenders launched five reports on Roma Rights in the Western Balkans. For more than 20 years now, the Roma situation in the Western Balkan countries (Albania, Bosnia and Herzegovina, Kosovo, Macedonia, Montenegro and Serbia) has received increased attention in national and international politics. National strategies and action plans have been developed – millions of euro have been invested in projects and programmes for the social inclusion of Roma. There are a few achievements to report about, there is a growing number of Romani activists and an increasing number of Roma attending and finishing secondary schools and universities. Progress has been made in the prevention of statelessness and hundreds of houses have been built for vulnerable Romani families. However, systemic change has neither been achieved – nor is it in sight. The living conditions of the overwhelming majority of the Roma remain unchanged and the relations between Roma and non-Roma might even have deteriorated. 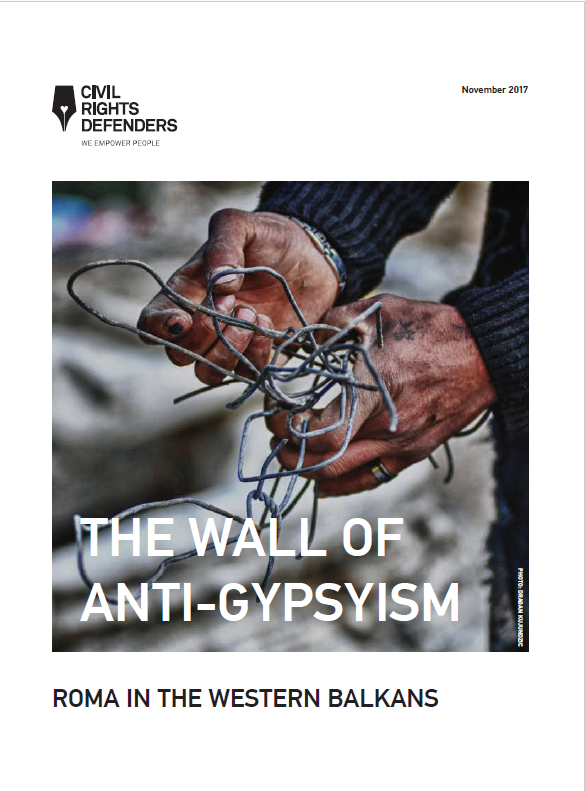 Discrimination and other aspects of anti-Gypsyism dominate the lives of Roma. The governments hardly adhere to the policies and laws they have adopted. For a considerable share of the Roma in the Western Balkans, migration seems to be the only solution to escape discrimination and to achieve better opportunities. According to assessments, between 2008 and 2016 more than 200,000 Roma from the Western Balkan countries applied for asylum in Western Europe, which would constitute around 20% of the Romani population in the region. In order to analyse and understand these phenomena, it is necessary to identify the reasons which led to this situation. The socio-economic situation, the exclusion, the refusal of national governments to recognise and appropriately address the situation, the indifference towards crimes committed against the Roma, the silent complicity of the Western Balkan governments and the view of the Western European governments and the European Union institutions that the announcement of policies to ensure equal opportunities is sufficient and does not have to be followed by actual policies or implementation can be traced back to one reason: the anti-Gypsyism prevailing in Europe.